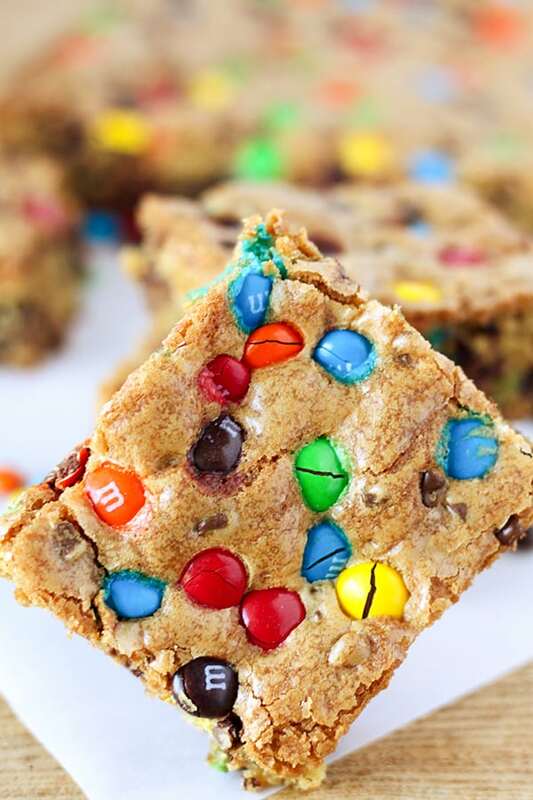 Bake these Harvest M&M’S Cookie Bars up for Halloween, Thanksgiving or football parties! 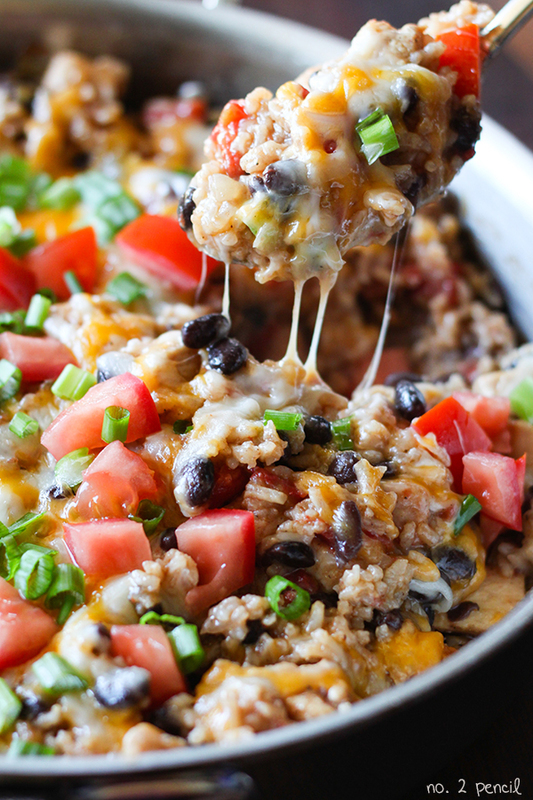 They are perfect for feeding a crowd and so much easier than traditional cookies. Depending on how you cut them, they can make 18 bars all the way up to 36 bars. 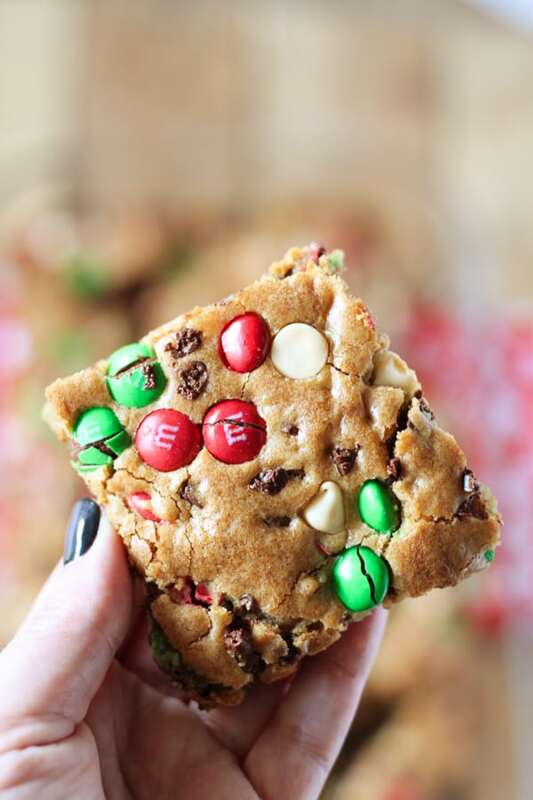 I like to add a generous amount of M&M’S and mini chocolate chips to the top before baking for a really festive cookie bar! 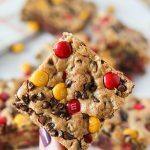 I used the Harvest Mix M&M’S for this recipe, but really M&M’S will work. Line a 9x13 baking dish with foil, leave some overhang to make removal easier. Spray foil generously with nonstick cooking spray. In the bowl of a stand mixer, beat butter, granulated sugar, and brown sugar together until fluffy. Add in eggs and vanilla extract and continue to beat. Lower speed of mixer and add flour, baking soda and salt, and mix until combined. 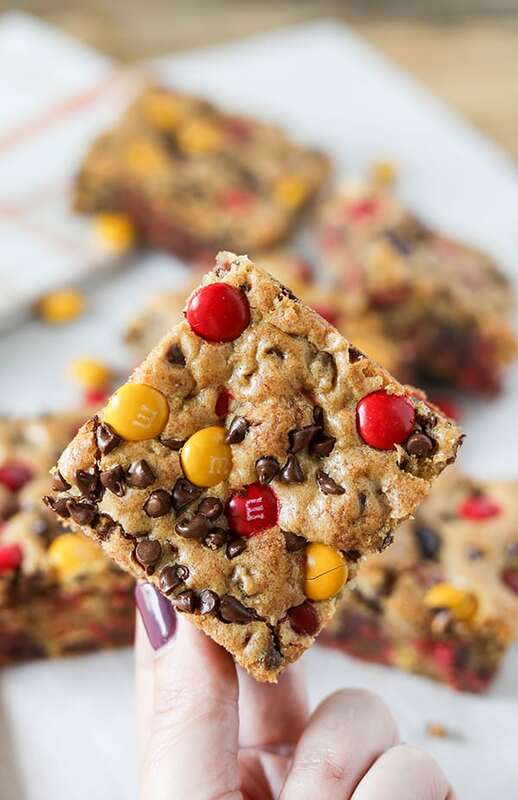 Add M&M's and mini chocolate chips and give a final stir, reserving some M&M's and mini chocolate chips for topping cookie bars. 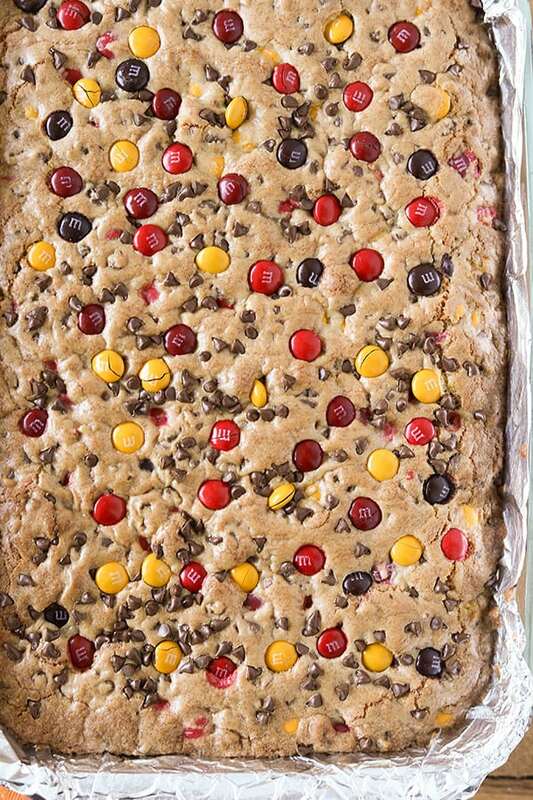 Press additional M&M'S and mini chocolate chips into top of cookie dough. Bake 30 to 35 minutes on oven rack in lower third of oven to prevent over browning. Let cool completely and cut.